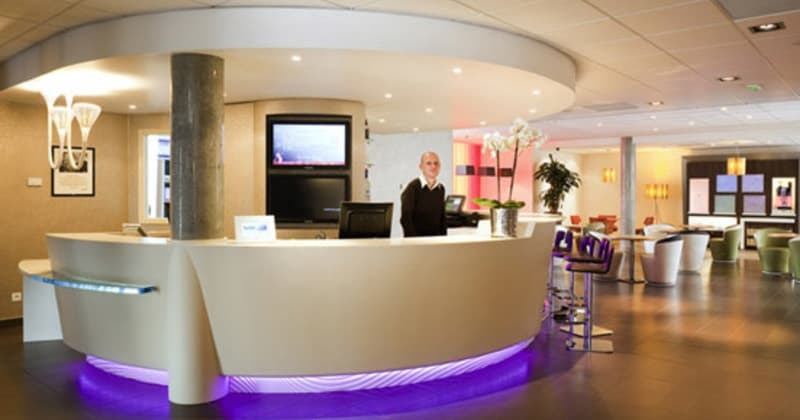 The Suite Novotel is a large, modern hotel located in the heart of the historic city of Reims. It is a business and leisure-friendly hotel located close to the Museum of Fine Arts and Reims Cathedral. Suite Novotel is perfectly located 5 minutes’ walk from Reims station. During the day, you can walk through the station’s underground passage, which brings you out just opposite the main square. (Please note this underground passage is closed in the late evening and a short diversion around the station is necessary). It is just a short walk from the Cathedral, classified by UNESCO as a World Heritage site as well as the Musée des Beaux Arts which is also within close walking distance of the hotel. The hotel has its own fitness suite which is open 24 hours a day with complimentary access for hotel guests. 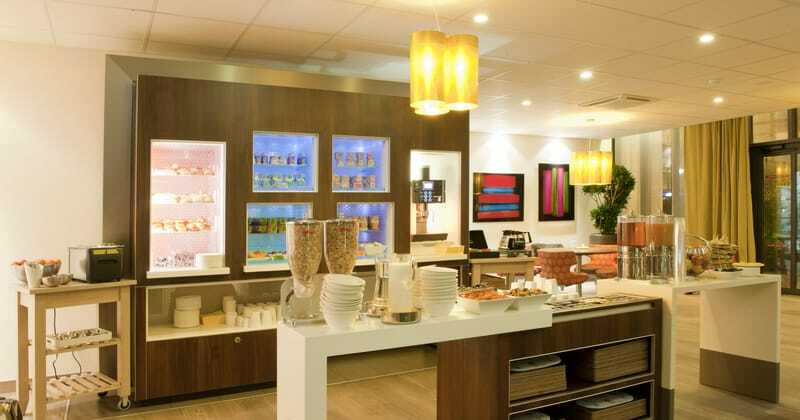 You can sample a variety of delicious dishes from the self-service Boutique Gourmande, 24 hours a day. This provides a range of pre-prepared meals that you can simply reheat in your suite. There is also a bar, where you can relax and sample a wide variety of more than 65 drinks. For those driving, private parking is available on site with the option of parking indoors or outdoors. The hotel contains 80 rooms. Each are very comfortable and equipped with a TV, telephone, an en suite bathroom as well as having a fully equipped refrigerator, microwave and electric kettle. Each room has unlimited access to a ‘suite box,’ a cutting edge multimedia centre giving you the opportunity to download music and videos on demand.